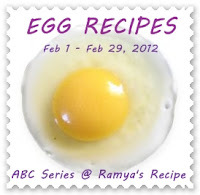 · Boil the egg, shell off and peeled and keep it aside. · Put a pot on heat with water and allow to boil, when start to boil add the washed spinach leaves, cook for a while and drain and allow to cool. Keep it aside. · Heat pot with 3 tbsp. of oil and add cumin seed, when start to sizzle add the chopped ginger, garlic, onion and green chilli and sauté till onion are become transparent. 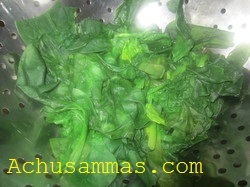 · Meanwhile grind the drained spinach into a smooth paste. 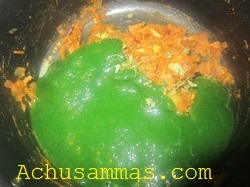 · When tomatoes are done add all powders, methi leaves and sauté for 3 minutes .Add the spinach puree and mix it well. Add water on your consistency. 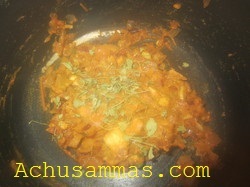 · Cook for 5-10 minutes and add the peeled egg. · Again cook for 5-10 minutes. · Take a pan with 2 tbsp. 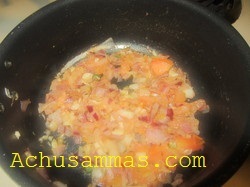 of oil, when it’s become hot add spitted geen chilli, julienned ginger and fry for a minutes. 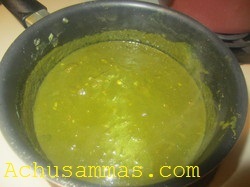 Pour this into the egg palak. 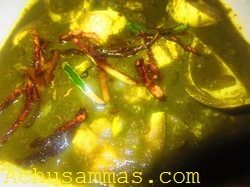 The curry looks very flavourful and tasty. Perfect for the lunch with some rice. 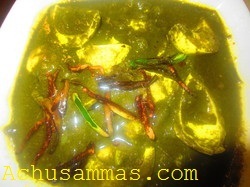 Lovely recipe and thanks for sharing..
new n interesting n delicious curry..
colorful gravy.. looks delicious !!! 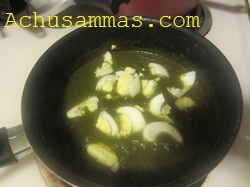 palak and egg,new idea.looks nice. 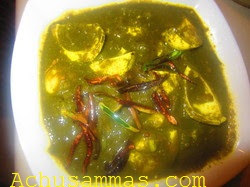 My daughter wud love this, she likes both palak and eggs, yummy one dear..
Quiet interesting one !! wonderful combo !! Very healthy n delicious curry..yum yum! !